The UKTA was recognised for its long standing contribution and commitment to capacity building and for its resilient and successful partnership with the ITU at the Global ICT Capacity Building Symposium today. Having encouraged and educated many thousands of students, while securing hundreds of scholarships, the UKTA has helped professionals across the world and especially in least developed countries to further their careers by completing UKTA accredited courses and post graduate degrees at both a Masters and Doctorate level. 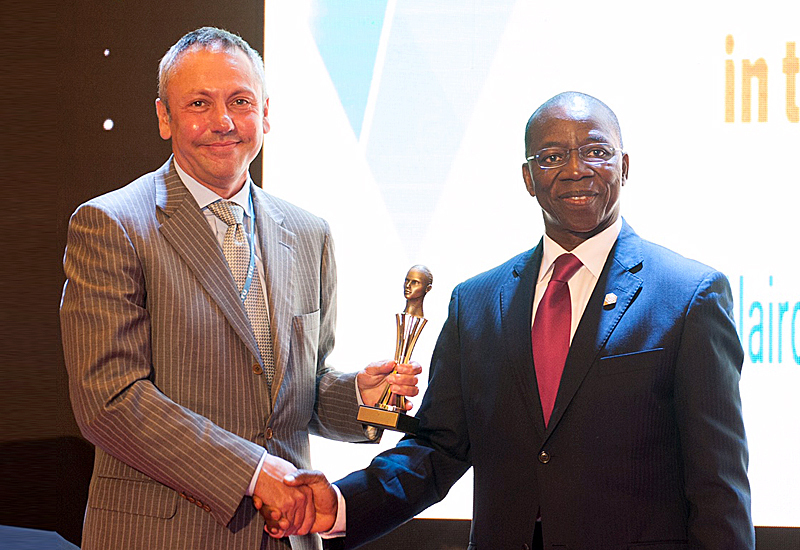 “UKTA is honoured to be recognised for its long standing and successful partnership with the ITU which is a testament to our Honorary President David Mellor’s inspirational commitment and drive,” said UKTA Chairman Gabriel Solomon. “Telecommunications and ICTs have a vital role to play in achieving the Sustainable Development Goals. As the pace of digitisation ramps up, driving cross-sector innovation and convergence, UKTA and ITU are committed to helping professionals from the private and public sectors best navigate these uncharted waters to ensure that equitable benefits of a connected world are achieved,” he added. The UKTA and ITU recently launched an online Masters of Communications Management (MCM), providing a flexible program and delivery schedule in partnership with The University of Rwanda (an ITU centre of excellence). Applications are now open with start dates available each quarter. Students can complete their module studies within eighteen to thirty six months. The Global ICT Capacity Building Symposium is organised by the Telecommunication Development Bureau of the ITU and hosted by the Communications Authority of Kenya, under the theme “Embracing Capacity Building Opportunities in the Digital Era”. The Sustainable Development Goals, adopted last year by global leaders, are to be achieved at a time of major digital technology transformation that will impact the way people live and societies operate. Governments, industry, universities and other higher education institutions need to invest in, and develop a range of ICT skills at various levels of immersion, which will not only enable increased participation in the economy, but will ensure the creation of digital citizens for a digital society. For more than two decades, the UKTA has helped telecommunications professionals improve their skills, develop their careers and build their networks. We are run by enthusiastic volunteers from around the globe who share a passion for ensuring individuals from all countries can access skills, training and qualifications. We are an independent organisation. Rather than providing training directly, we carefully select partners who can deliver world class training that meets the needs of people across the sector.